What exactly is the love of God? Some think it’s a warm, fuzzy feeling. Others think it’s doing good to others. What the Bible teaches may surprise you! The Bible emphasizes the central role that love plays in our lives. One of the descriptions of God Himself is that “God is love” (1 John 4:16). In other places we are urged to become perfected in the love of God. Do you know how to love like God? How do you achieve this kind of godly love? Is it even possible to love like God does? A term frequently used to describe the highest form of unselfish love is altruistic love. Is altruistic love godly love? What is the source of godly love? Love is a uniquely human trait that cannot be explained away as the end result of an evolutionary process. This trait comes from the Creator God. Genesis 1:26 tells us God’s words at the creation of humanity: “Let Us make man in Our image, according to Our likeness.” Since human beings have the capability to love, and since we are made in the likeness of God, He must be the source of love. Jesus Christ, who came and dwelt on earth as God in the flesh, exemplified the love of God for us. On the evening before Jesus faced a brutal scourging and death by crucifixion, He reflected on the ultimate in love from a human perspective: “Greater love has no one than this, than to lay down one’s life for his friends” (John 15:13). But notice that God’s love goes even further. Early in Jesus’ ministry, He taught that loving your friends was not enough. “You have heard that it was said, ‘You shall love your neighbor and hate your enemy.’ But I say to you, love your enemies, bless those who curse you, do good to those who hate you, and pray for those who spitefully use you and persecute you, that you may be sons of your Father in heaven; for He makes His sun rise on the evil and on the good, and sends rain on the just and on the unjust. For if you love those who love you, what reward have you?” (Matthew 5:43-46). Jesus practiced what He preached! Since Jesus led a sinless life, He did not have to die. “For the wages of sin is death, but the gift of God is eternal life in Christ Jesus our Lord” (Romans 6:23). He could have rightly claimed eternal life. But rather, He stood in the gap and said to His Father that He would take the death penalty for the sins of His friends—and, more significantly, for the sins of His enemies. This attitude is an essential part of understanding the love of God. Even in the agony of the crucifixion, Christ spoke this way of His enemies who were killing Him: “Father, forgive them, for they do not know what they do” (Luke 23:34). Do you have this kind of godly love? It is one of the hardest things to have—but the rewards are worth it! Yet there is even more to your development of godly love. Altruistic love is certainly a very high form of human love—giving of yourself for the benefit of others. And what higher form of altruistic love could there be than giving your life? Consider recipients of the Medal of Honor. It’s the highest award that an American soldier can receive. Since its inception during the Civil War, almost 3,500 have been presented. Since 1941 over half have been presented posthumously. These soldiers made the ultimate physical sacrifice—they laid down their lives for others. Some simply call this sacrifice an act of valor, but many see it as love—love of country, love of comrades in arms, love of friends. While the Medal of Honor provides vivid examples, there are countless untold examples of people who have exhibited such altruistic love—even to death. Did making such altruistic sacrifices prove that these people all had godly love? Not necessarily. Paul states that you can sacrifice your life for others and not have the love of God: “And though I bestow all my goods to feed the poor, and though I give my body to be burned, but have not love, it profits me nothing” (1 Corinthians 13:3, emphasis added throughout). Yes, the willingness to make sacrifices for others, even to the extent of death, is a necessary but not sufficient condition for having the love of God. Even more is required (Romans 5:7). But how, you might ask, is that even possible? How do you develop the love of God? Few understand the true plan of God. That plan is explained in other sections of this website (see “Plan of Salvation”). The plan begins to unfold with the offer of eternal life to all mankind. “In this the love of God was manifested toward us, that God has sent His only begotten Son into the world, that we might live through Him” (1 John 4:9). The love of God is expressed through His offer of a chance to join His spiritual family and live forever. So, what does God want us to do? He wants us to follow in the steps of Jesus to develop the same kind of love. As the apostle Paul wrote: “Now may the Lord direct your hearts into the love of God and into the patience of Christ” (2 Thessalonians 3:5). How does this transformation happen? Your first step should be to prove that there is a God (see “Is There a God?”), then prove that the Bible is the Word of God (see “Is the Bible True?”) and finally study that Word and do it (see “The 10 Commandments”). “But whoever keeps His word, truly the love of God is perfected in him. By this we know that we are in Him” (1 John 2:5). God’s love is not just expressed by the fact that Jesus was willing to die for mankind, but that He lives for us as well. Godly love is expressed in how we live like Him. When the Jewish leaders asked Jesus what the greatest commandment was, He replied, “‘You shall love the LORD your God with all your heart, with all your soul, and with all your mind.’ This is the first and great commandment. And the second is like it: ‘You shall love your neighbor as yourself.’ On these two commandments hang all the Law and the Prophets” (Matthew 22:37-40). In answering this way, Jesus summarized the whole emphasis of the 10 Commandments. The first four describe ways we actively express our love toward God—the way we live—when our heart, mind and soul are focused in love toward Him. The last six describe ways in which our love toward our fellow man is expressed, both in mind and in action. God’s commandments describe love in action: love toward God and love toward our fellow man. They help us understand and live the love of God (Romans 13:8-10). As surprising as it may seem, God expects us to become perfected by having the same love as Jesus has—a love so strong that, yes, He laid down His life not just for His friends, not just for His followers who came after, but for all mankind. And more than that, He kept the commands of God throughout His life—perfectly! What we must do is seek to grow in the same kind of love! This is the goal we must pursue in this life. However, in this life we will never become perfect in love as God is. But God wants to see that this is what we want. The path to godly love requires a commitment from us to both know and follow the Word of God. “For this is the love of God, that we keep His commandments. And His commandments are not burdensome” (1 John 5:3). 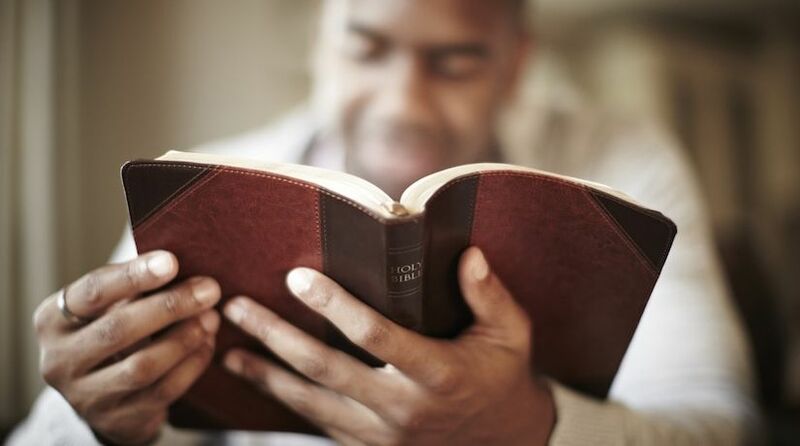 Do we know the Word of God, or only think we do? This world rewards valiant acts of love and sacrifice with medals, awards, honors and even monuments. God offers something much more. Do you know what that is? Take advantage of this website to learn what the Bible really says about both the Word of God, the love of God and His plan for you. It’s a real eye-opener!